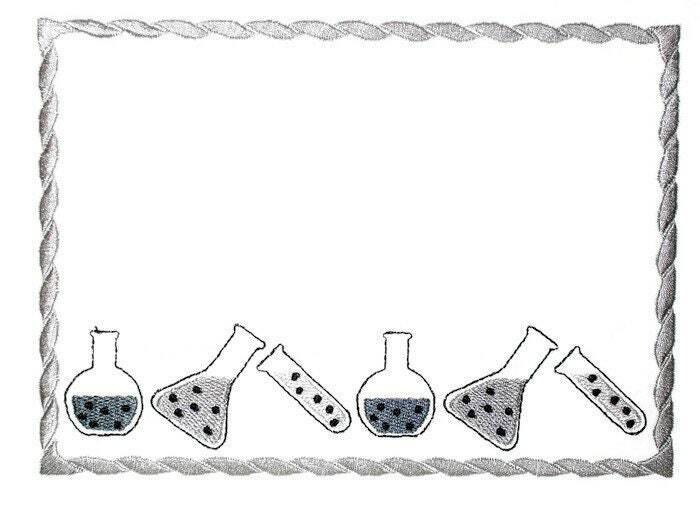 Scientific scene of test tubes and beakers, embroidered quilt label. All stitched out in shades of grays. Customize the label with your personal message. Document you quilts history in style with an embroidered quilt label with a professional finish. Measures: 17.5m x 12.5cm (7" x 5").